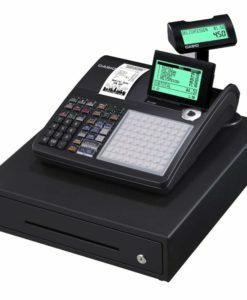 Combining power, value and style, the Casio SE-S400 is ideal for any small to medium retail business. Featuring a sleek black and silver design, this modern looking till can store up to 3,000 Price Look Ups. An SD card slot allows for easy programming and backup via PC. It also allows you to view sales data on a PC. Two RS232 serial ports provide expandability for barcode scanners or other peripherals. The bright 10 line, 10 digit LCD makes the SE-S400 easy to use. Help instructions can be printed on the receipt paper for quick reference. 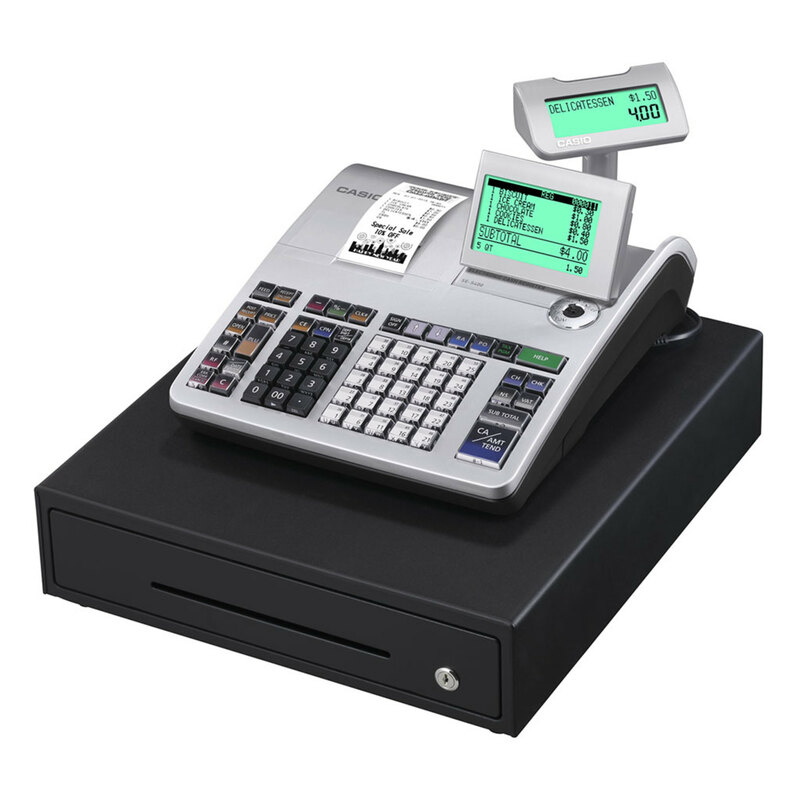 25 department keys allow quick access to 50 departments or PLUs, while the thermal printer delivers quick, crisp receipts. 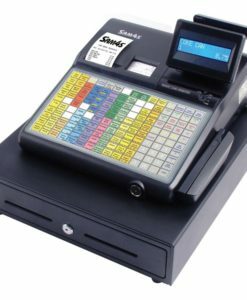 Whether your business is just starting out or is well established, the Casio SE-S400 is an ideal choice. It is easy to set up, straightforward to use, and can grow as your business does.